From hunting vampires to killing gods. It's a sad moment when you finish a game you love and the credits roll. 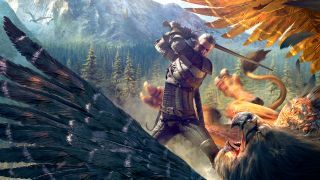 But the end isn't always the end, and the following expansions offer a meaningful and worthwhile continuation of some of the finest games on PC. So if you're craving more adventures with Geralt of Rivia, want to spend more time terrorising the citizens of Liberty City, or desire to discover more stories in the murky depths of Rapture, these expansions are worth the extra time. In this standalone Dishonored 2 spin-off you play as Billie Lurk, an assassin with her sights set on a particularly tricky target: the black-eyed god known as the Outsider. Yep, the same guy who gave Emily and Corvo their powers in the main game. But to get anywhere near him she first has to infiltrate a sinister cult, locate a magic-infused dagger, and find a way into the Void, the creepy otherworldly realm where he likes to hang out. Billie handles very differently to Emily and her old man. She’s still blessed (well, she’d say cursed) with Outsider powers, but they’ve been remixed in a few interesting ways. Best of all, she doesn’t need to gulp down Addermire Solution every few seconds: her powers infinitely recharge, and quite quickly too. And her equivalent of Blink and Far Reach is Displace, which lets you conjure up a shadowy doppelgänger then teleport to it. Semblance is one of the most fun new powers. Grab an enemy from behind and you can steal their face, taking on their likeness for a few seconds. So if you use it on a guard, you can casually stroll past his buddies and they won’t blink an eye. Then there’s Foresight, which lets you detach from your body and fly around the level, marking items and enemies. This isn’t as immediately satisfying as Semblance, but invaluable if you’re going for a stealth playthrough. Geralt of Rivia has nothing left to prove when he and Roach ride into the gorgeous, fertile land of Toussaint at the beginning of Blood and Wine. He's saved the world and his friends multiple times. He's travelled the Northern Kingdoms fighting the most feared, deadly monsters in the world. For him, and for us, Blood and Wine is an adventure holiday in the sun. Toussaint is the perfect destination. The rolling vineyards and fairytale castles evoke the gentle climes of continental Europe, but it has its share of dungeons and weird creatures. It's a glowing backdrop to a perfectly paced eight-to-ten hour vampire yarn that manages to be dark, funny and surprising in turn. While Niko Bellic’s story is at times dreary in exploring how tough his life is as a criminal—both endings in GTA IV have him lose someone close to him, which is such a depressing capper to a 30-plus hour game—the Episodes From Liberty City expansions offer lighter and more enjoyable angles on Liberty City. In The Lost and Damned, you play as biker Johnny Klebitz, a member of a gang called The Lost which is on the verge of collapse thanks to its volatile leader, Billy. Rockstar put a noise filter effect on Liberty City and let you cruise around with your fellow bikers in formation, while cleverly setting missions in locations that aren’t used much in the main game. It successfully offers a new angle on an existing location, and makes me think Rockstar could probably make about five expansions like this for GTA V’s Los Santos if they wanted to. I love the idea of taking an existing rich game setting and putting new stories there. The marine grunts of Half-Life were complete assholes, mowing down hapless scientists instead of rescuing them and declaring war on misunderstood nerd Gordon Freeman. But when Gearbox and Valve teamed up to let us experience the events of Half-Life from the perspective of those grunts, a fan favourite was quickly born. As corporal Adrian Shephard we got to play with a few new weapons including an alien barnacle grappling hook, visit new areas of the facility, and even catch a glimpse of Freeman himself as he leapt into Xen. I struggled to pick a Command & Conquer expansion because I love a whole bunch of them (particular how missile subs in Red Alert: Aftermath basically make the Soviets unstoppable). Yuri’s Revenge added a new faction, commanded by Yuri, which forces you to rethink how you deal with his more unusual, science fiction-y units. The combination of unit-dragging Magnetrons, UFO-style Floating Discs and mind-controlling Yuri clones means he’s a little harder to counter than the Allies or Soviets. Arkane builds beautiful levels, so all we needed from a Dishonored expansion is more Dunwall. Brigmore Witches is the second chapter in the two-part story expansion that starts with Knife of Dunwall. Both cast you as the assassin Daud, who has a few extra abilities, such as the ability to summon assassins and to speak out loud—something Corvo never does in Dishonored. An upgrade to a new setting, new weapons and vehicles, new factions, new multiplayer scenarios, and a too-brief single-player/co-op campaign that takes those toys for a spin. Mostly, though, it’s a ticket to Tanoa—100 square kilometers of tropical terrain and a cover album of real-life locations like Lihir Island and Fiji: huge swathes of jungle beside a variegated mixture of plains, shoreline, and scrubland. Populating the archipelago are farms, refineries, mines, beachside villages, logging camps, ancient ruins, and a dead volcano, details that create a canvas for mission-makers and modders. It's a nice bit of earth. Arma maps like Chernarus and Altis have personality, but they aren’t atmospheric in the way that Tanoa is. Step into the forest in the afternoon, and you’ll hear birds and insects chattering. But at nighttime it’s a different sound: unsettling owls and other nocturnal things punctuating a constant cricket hum. Thunderstorms drop piercing rain and dramatic bass. Firaxis' first take on the sci-fi-inspired series spawned Enemy Within—an impressive add-on which fundamentally alters the base game's makeup, while preserving pretty much everything that makes its source material one of the best strategy games around. New maps mark new environments for Sectoid slaughter, and a reworking of Enemy Unknown's pretty unintuitive inventory system makes redistributing equipment a whole lot easier. Beyond the subtle adjustments, the introduction of Meld—alien nanomachines that bestow superhuman abilities upon regular human soldiers—adds an element of risk versus reward which, against the game's permadeath functionality, in turn demands players to deftly balance ambition and greed. However you felt about the conclusion of BioWare's sci-fi trilogy, this was Mass Effect's real ending. It's a substantial new adventure with two parts: the first is a standalone story set in the second half of the main campaign, a 2-3 hour romp with a brilliant twist. I won't spoil it, and it's so silly that it's probably better thought of as non-canon, but it enables a dozen brilliant moments that the game's writers must have had a huge amount of fun putting together. Citadel is self-aware in a really endearing way, essentially a comedy revue starring a cast of characters that you've come to love. There's a moment when Shepard and crew find themselves facing (another) dangerous all-or-nothing mission, and Shepard wearily suggests that (yet again) perhaps a three-person strike team would be better than just sending everybody in. Screw that, they decide. For once, let's just send everybody. And for the first time in a Mass Effect game, every single companion accompanies you on a mission at the same time. Even if, for engine reasons, you're separated into—that's right—teams of three. And that's only half of it. The other part of Citadel is a sprawling denouement to the series, a run of short adventures with every surviving companion from the series that help to tie off relationships in sweet, silly, and touching ways. And then, at the end of it all, you throw a party. Everybody comes, and you can choose whether to pump up the music and drinks or go for a quieter, conversational atmosphere. It's grade-A, electrifying fanservice full of in-jokes (Shepard can't dance) and long-teased payoffs. Then, when it's all over, the crew return to the Normandy with that one desperate final mission ahead of them. "We've had a good ride," Shepard's love interest says as they look out over the Citadel. "The best." Shepard replies.